Once again students of ALLEN Career Institute outshines in JEE Main examination. The result of JEE Main 2019 (January Attempt) has been released by National Testing Agency (NTA). As per the result, 15 students have secured 100 percentile in JEE Main 2019 and out of them one-third student from ALLEN Career Institute. He further added that the first JEE (Main) Examination was conducted by NTA between 8 and 12 January 2019 in two shifts per day across 258 cities in the country and abroad. A total number of 9, 29,198 candidates were registered for Paper –I (B.E. /B. Tech.) in this examination. There were 467 examination centres across the country and abroad. 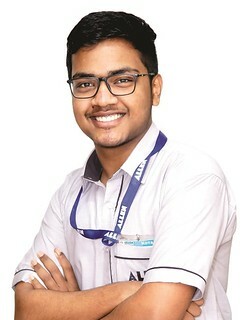 Sambit, a resident of Bhubaneswar (Odisha) has secured 100 percentile in JEE Main 2019 (January Attempt) examination result. He has scored 100 per cent in Physics, 100 per cent in Mathematics and 99.98 per cent in Chemistry. From the last two and a half years, he has been studying in Kota and is currently a student of Class 12. He said that he has been preparing for JEE Main in a planned manner. Instead of picking up the topics randomly, he studied according to the schedule. Apart from this, he cleared the doubts in the class itself. After giving the Weekly Test he used to hang out with friends. 30 minutes’ walk every day kept his mind fresh. He also used to play football to remain stress-free at the time of preparation. Right now Sambit is concentrating on JEE Advanced exam. His aim is to pursue engineering in CS Branch from IIT Mumbai. He is an NTSE scholar. He has qualified the first stage of Chemistry Olympiad and is now preparing for the second stage. His elder sister Barnali Priyadarshini is pursuing engineering from NIT Rourkela. Father Chandramani Behera is an employee in SBI and mother Narmada Behera is a homemaker. Jayesh is a resident of Patiala, Punjab and has secured 100 Percentile in JEE Main 2019 January attempt. He scored 100 percentile in Physics and Maths and 99.98 percentile in Chemistry. At the time of preparation, he paid a lot of focus on Chemistry and it is his favourite subject. Apart from the regular classes at Allen Career Institute he also used to do self-study for 5-6 hours daily and made sure that he gave time to all the three subjects daily. He said that he used to keep some target for all three subjects daily and made sure he achieved them. He played tennis and table tennis to keep his mind and body fresh. His main focus will be to prepare for JEE advanced and get a good rank in that. He said that the atmosphere at Allen is quite good for studies and preparation. The mock tests help the student asses and improve their performance. He has qualified the first stage of Chemistry Olympiad, Physics, Astronomy, Informatics and is now preparing for the second stage. He has a lot of interest in programming and is an expert in Java language. 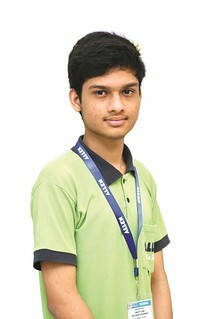 He aims to pursue Computer Science Engineering from IIT Mumbai and make a career in core programming. His father Ajay Kumar Singla and mother Monika Gupta are both doctors. 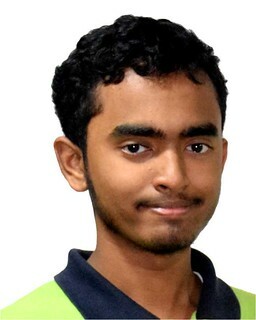 Kartikeya is a resident of a very small town Chandrapur in Maharashtra and has also scored 100 Percentile in JEE Main 2019. He said that teachers at Allen are very good and supportive. His performance had improved after joining Allen Career Institute. Like Jayesh, even he stressed the importance of self-study of 3-4 hours every day. He played badminton to refresh himself. Right now he is preparing for IIT JEE Advanced and aims to take admission in Computer Science Engineering branch at IIT Bombay. 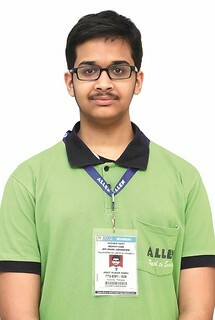 He has qualified the first stage of Chemistry Olympiad, Physics, Astronomy and is now preparing for the second stage. His father is a general manager in a Paper industry and mother Poonam Gupta is a Homemaker. His elder brother is also pursuing engineering. Ankit is a resident of Mumbai and has scored 100 percentile in JEE Main 2019. He scored 99.99 percentile in Physics and Chemistry and 100 percentile in Mumbai. He said that the atmosphere at Allen Institute is good for JEE Preparation and the institute gives utmost importance to all the students. 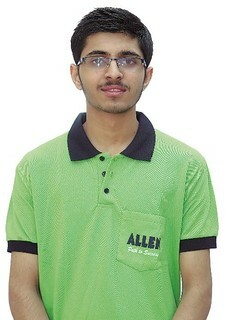 He said that the teachers at Allen cleared all his doubts which he faced during his preparation. He used to revise whatever was taught in the class. He never stressed if he scored low marks in a particular test rather focussed more on scoring a better score in the next test. His performance showed a positive growth rate as he took a lot of tests. His entire focus is now on JEE Advanced and aims to take admission in IIT Bombay CSE branch. He aims to get in Top 20 AIR in JEE Advanced.